Sometimes you have to just let go and see what happens. Everyone comes with a baggage. 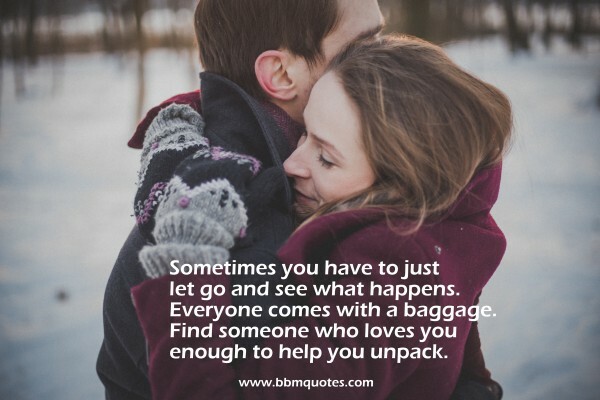 Find someone who loves you enough to help you unpack.